Professor Ragnar Arnason speaks at the fisheries conference 6 October 2012. Asta Moller in the chair. Photo: Haraldur Gudjonsson. 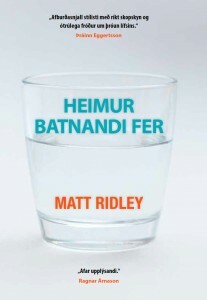 An important part of the project jointly organised by RNH and ACRE, the Alliance of Conservatives and Reformists in Europe, on “Europe, Iceland and the Future of Capitalism” is the exploration of reforms of institutions governing the utilisation of natural resources and protecting the environment. How can “green capitalism” be designed and implemented? The first event on this theme was a lecture 27 July 2012 by British science writer Dr. Matt Ridley where he gave an outline of his argument in the best-selling The Rational Optimist. Another important event on this theme hosted by RNH in 2012 was an international conference on “Fisheries: Sustainable and Profitable” 6 October 2012. Speakers included Arni Mathiesen, director of the fisheries section at FAO and former Icelandic Minister of the Fisheries, Dr. Gunnar Haraldsson, chief fisheries expert at the OECD, Michael Arbuckle, chief fisheries expert at the World Bank, Professors Thrainn Eggertsson, Ragnar Arnason, Asgeir Jonsson, Birgir Thor Runolfsson and Helgi A. Gretarsson, all of the University of Iceland in Reykjavik, Professor Michael De Alessi from Stanford University and Professor Rognvaldur Hannesson of the Norwegian School of Economics and Business in Bergen. Editor Brian Carney from the Wall Street Journal Europe did a summing up. More information on the speakers is available here. Leading fishing firm owner Gudrun Larusdottir, with her husband, Agust Sigurdsson. Photo: Haraldur Gudjonsson. The next event in this part of the NRH-AECR project, the exploration of institutions of green capitalism, was a lecture Professor Hannes H. Gissurarson gave at the University of Iceland 26 October 2013 on what “Political Economy can tell us about the Money Smell”—referring to the odour emitted from fish smelting plants in Iceland often called “money smell”. Professor Gissurarson analysed air pollution such as “money smell” in terms of both Pigou’s and Coase’s theories and discussed different remedies. Professor Gissurarson directs a research project at the University of Iceland on green capitalism, in co-operation with the Brazilian Instituto Millenium, based in Rio de Janeiro. In connection with the Rio+20 international conference on the environment, RNH and the California-based Reason Foundation held an informal seminar in Rio de Janeiro, 19 June 2012, with talks by Julian Morris and Hannes H. Gissurarson. 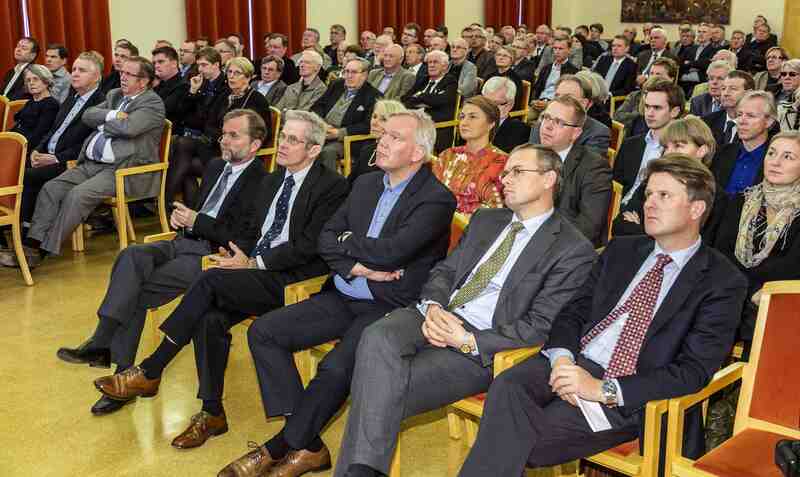 In connection with the seminar, there was a reception on Iceland’s national holiday, 17 June, attended by some Icelanders, including Arni Mathiesen. In 2013, Professor Hannes H. Gissurarson participated in the Mont Pelerin Society regional conference on liberty and evolution on the Galapagos Islands 22–29 June, as a part of the research project on green capitalism. He chaired a session on liberalism and Darwinism. From left, first row: Kristjan Loftsson, Ralph Townsend, Hannes H. Gissurarson, Dadi M. Kristofersson, Gunnar Haraldsson. Photo: Omar Oskarsson. 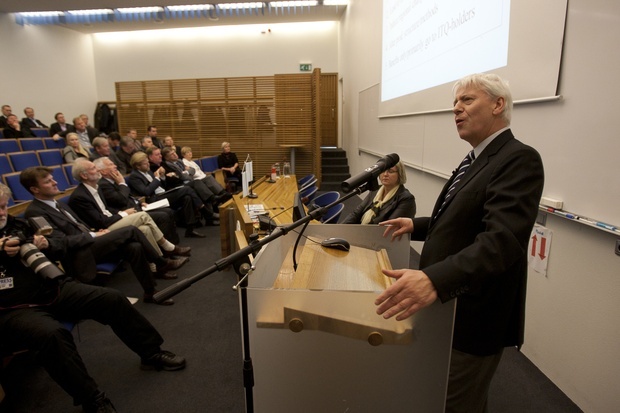 On 14 October 2013, a conference to honour late Professor Arni Vilhjalmsson, both an academic and an entrepreneur in the Icelandic fisheries, was held at the University of Iceland, with Ralph Townsend, Professor of Fisheries Economics at the University of Main, giving the keynote speech. Other main speakers were Professors Ragnar Arnason and Hannes H. Gissurarson of the University of Iceland and Dr. Gunnar Haraldsson, director of the Economic Research Institute at the University of Iceland. The theme of the conference was “The System of Individual Transferable Quotas and the Demand for a Rent Resource Tax”. Gísli Hauksson, RNH chairman, og Ridley, with the Icelandic edition of Ridley’s book. Photo: FOK. On 24 October 2014, RNH held a seminar on resource rent tax, wealth tax and income distribution. Professor Corbett Grainger from the University of Wisconsin explained why a system of individual, transferable quotas was a better escape from “the tragedy of the commons” in fisheries than a resource rent tax. Professors Ragnar Arnason and Hannes H. Gissurarson explained why the case for a special confiscatory wealth tax was often based on a faulty methodology of measuring income distribution and morally assessing it. 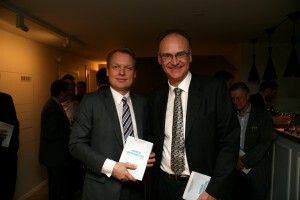 30 October 2014, at a seminar jointly organised by RNH, AB Publishing and the finance company Gamma, Matt Ridley described the most important findings of his book, The Rational Optimist, while Economics Professor Thrainn Eggertsson discussed present trends in the information society and Associate Economics Professor Birgir Thor Runolfsson analysed one of Ridley’s examples of an institution leading to both sustainability and profitability, the Icelandic system of ITQs, individual transferable quotas, in the fisheries. 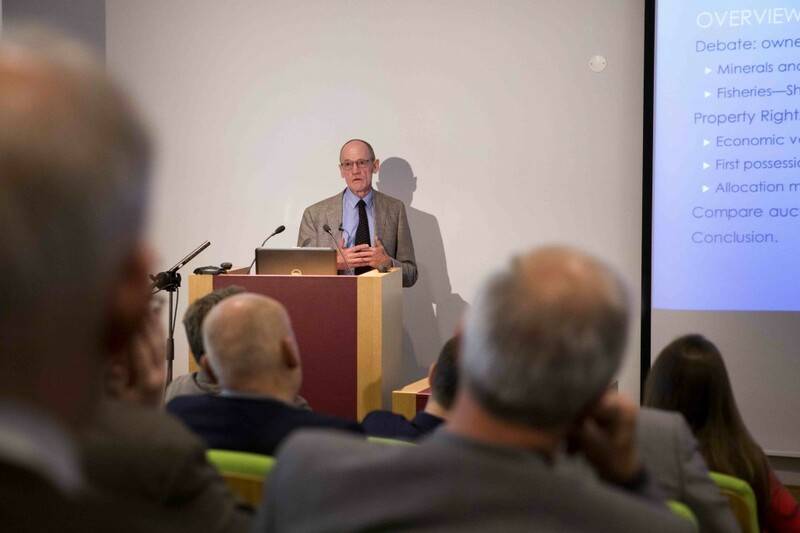 Prof. Hannesson speaks at the 2015 conference. 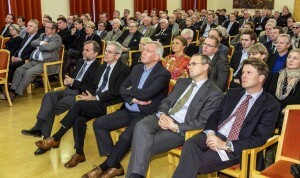 On 8 October 2015, RNH participated in a conference held by the School of Social Sciences at the University of Iceland in honour of Professor Rognvaldur Hannesson, an Icelandic economist living in Norway and a world authority on resource economics, who had recently published a trenchant critique of Ecofundamentalism. 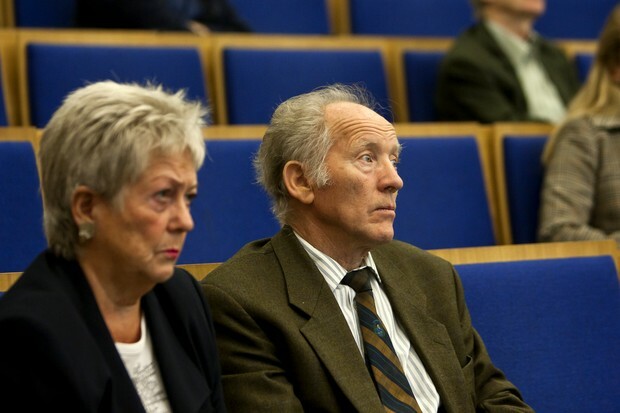 Dr. Dadi Mar Kristofersson, Head of the School of Social Sciences, and Professor Tor Einarsson, Chairman of the Economics Faculty, introduced Professor Hannesson who gave a keynote lecture, on which Julian Morris of Reason Foundation and Professor Bengt Kriström subsequently commented. In the evening, Illugi Gunnarsson, Minister of Education and Culture, gave a dinner in honour of Professor Rognvaldsson. In late 2015, the University of Iceland Press, supported by RNH, published a book by Professor Hannes H. Gissurarson, The Icelandic Fisheries: Sustainable and Profitable, where he described the Icelandic system of Individual Transferable Quotas, ITQs, in the fisheries and argued that the quotas should initially be allocated on the basis of catch history. 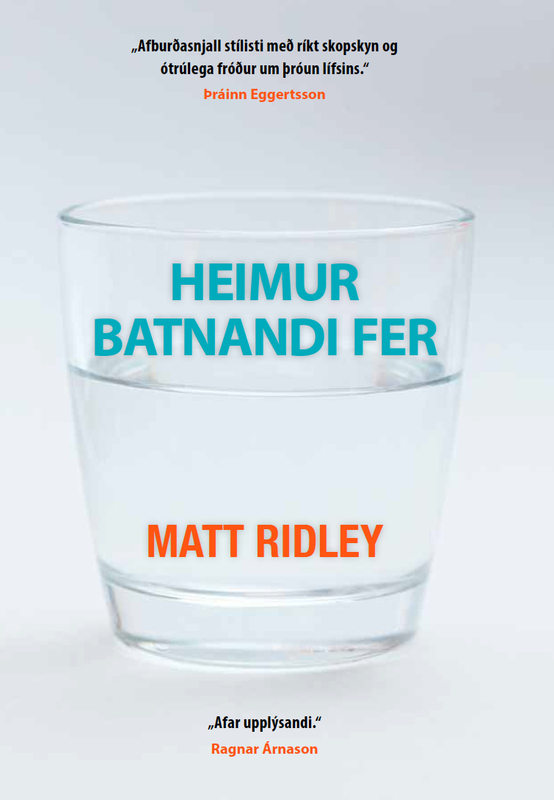 The book is also available online. In 2016 Professor Gissurarson published a review of Professor Hannesson’s book in the Journal of Economics Library. Gary Libecap gives his lecture at the 2016 conference. 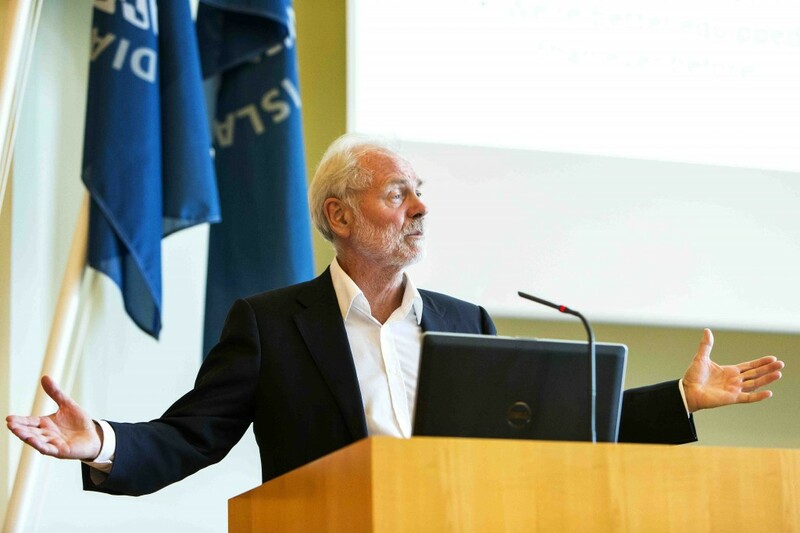 In 2016, Professor Hannes H. Gissurarson gave several papers on a sustainable, profitable and equitable system in the fisheries, using the Icelandic ITQ system as a model: In Lima in Peru at the Fisheries Association 21 January and at the Ministry of Resources and Economics 26 January, and in Florence in Italy at an IEA seminar 8 September. On 29 August 2016, RNH participated in an international conference at the University of Iceland on rights allocation in the fisheries, and the idea of auctioning off quotas. The keynote papers were given by Professor Gary Libecap of the University of California at Santa Barbara and Professor Ragnar Arnason of the University of Iceland, followed with a panel discussion of Economics Professor Charles Plott, an international authority on auctions, Dr. Tryggvi Thor Herbertsson, Politics Professor Hannes H. Gissurarson and Associate Law Professor Helgi A. Gretarsson. Libecap and Arnason agreed that the most natural way of initially allocating fishing quotas was by “grandfathering” or catch history. Professor Plott pointed out that there was no need for auctions in the Icelandic fisheries, as there was a tolerably efficient system in place. Professor Gissurarson pointed out that the only right of which those who did not hold quotas had been deprived, was the right to harvest fish at zero profit, as the fisheries model of H. Scott Gordon had shown. In October 2017, AB, the Public Book Club, in cooperation with RNH, published Progress by Swedish historian Johan Norberg (Framfarir in Icelandic) who argues that many environmental problems can be solved by new technology created by capitalism. Therefore, the environment and capitalism should be regarded as allies, not enemies. Norberg launched the Icelandic translation in a lecture at the University of Iceland 23 October. At the end of 2017, the Brussels think tank New Direction published a 69 pp. report, Green Capitalism, by RNH Academic Director Professor Hannes H. Gissurarson. On the basis of his analysis, he makes a lot of radical proposals, for example to start using DDT against malaria, adopt a system of individual transferable quotas in European fisheries, revoke the ban of harvesting those whale stocks which are plentiful, for example the fin and the minke whales in Icelandic waters, remove robust elephant stocks from the CITES list of endangered species and develop private property rights in them, held by local communities, and try and save the African rhino stocks—which in fact are endangered—by also developing property rights in them, held by local communities, wildlife park owners or individual farmers.